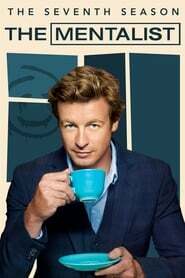 With serial killer Red John laid to rest, Patrick Jane is finally free to close the door on his past and plan for the future. A fresh start with the FBI has him solving top-security cases alongside former CBI agents Teresa Lisbon and Kimball Cho, new colleagues Jason Wylie and Michelle Vega, and boss Agent Dennis Abbott. And Jane’s blossoming connection with Lisbon brings a deeper bond to the partners’ already intimate and intense professional relationship. But when femme fatale Erica Flynn resurfaces from Jane’s past and another sadistic serial killer appears on the scene, affairs of the heart take a backseat to survival.